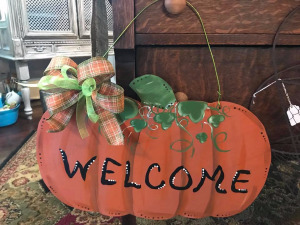 This welcome pumpkin is perfect for any door in your home. 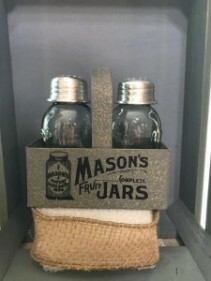 Order online or stop by! 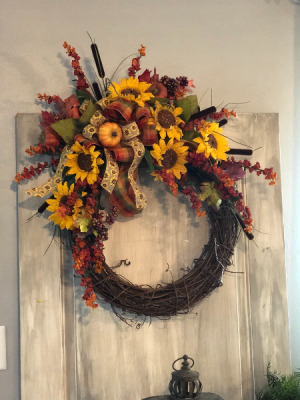 Perfect on any door for the season. 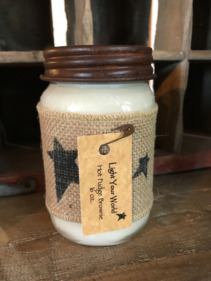 Order online or pick up in the store. Want to send something other than flowers? This wreath is prefect and can be used for serveral years. We have bracelets in almost every color! 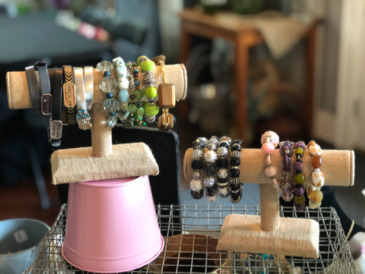 You can order online and we can add a bracelet to any order. Let us know what color you would prefer. 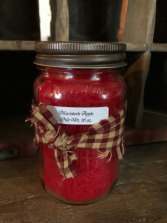 You can always call us and we can let you know what is in stock. Looking for a gift item for someone that loves Mason Jars? 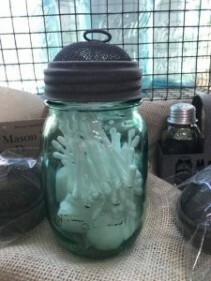 This is perfect and can be arranged in any arrangement, per request. The smell of a crip Apple through out the house is perfect! Order today! 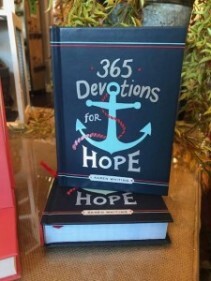 365 Devotions of Hope Book Details: Daily devotional readings paired with beloved quotes and Scripture passages lead readers to the glorious hope that spills out from God's love. Each day will bring new inspiration to rise above circumstances, focus on truth, and celebrate hope and security in their faith. New believers and Christians in need of renewed hope will be encouraged to live out their faith with confidence as they learn more about God's faithfulness. 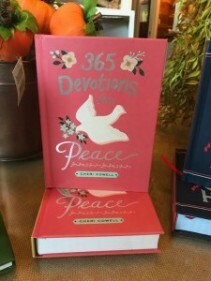 365 Devotions for Peace Book Details: A more peace-filled like starts today. The Christian life isn't exempt from times of difficulty, strain, and worry. But God didn't intend for you to carry the weight of the world on your shoulders. He offers an amazing gift to those who fix their eyes on Him: peace. This 365 day devotional will help you release your worries to God and discover the peace that only He can give. Each devotion offers an encouraging Bible verse and closes with a prayer to help you find peace in the midst of any circumstance. Deeper than Tears, Promises of Comfort and Hope. Book Details: No matter what disappointments and loss come to your corner of the world. God offers healing and help. Regardless what sorrow and heartache you feel. God knows about it and he cares for you. 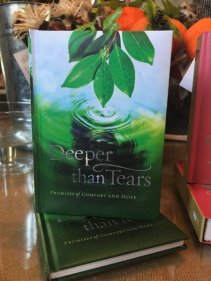 His love is deeper than your tears. Flowers convey a message that cannot be put into words. WAY'S HOUSE OF FLOWERS of Albany, GA provides a variety of fresh, fashionable floral designs to ensure that your gift is one of elegance and beauty. 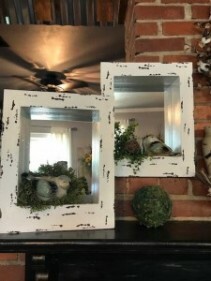 When you're looking for a unique hostess gift, token of appreciation or just a surprise to brighten someone's day, let WAY'S HOUSE OF FLOWERS customize and deliver one of our many fun, decorative & luxury gifts! 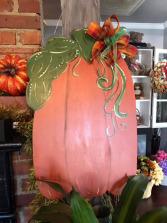 We create dazzling presentations that are sure to please for any gift-giving occasion. 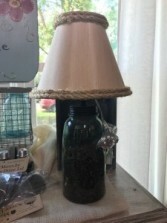 To get your custom gift items, come by and see WAY'S HOUSE OF FLOWERS - your local Albany, GA florist.